Personally, I don't think I would want to win a huge lottery jackpot, (yeah right) maybe a few million, but nothing that would stir the world around you to knock on your door and beg for some cold cash. Here's the problem: if you ever won, say the Mega Million jackpot, you would literally have to go into some sort of strange witness protection program. People from all over would be knocking on your door. This includes: family members, long lost family members, people with the same name claiming to be family members, friends, friends of friends, Facebook friends, brand spanking new friends and of course, your local churches would take a steamroller just to get through your door. Think about it --- would you knock on your friend's door if he or she won the Mega Millions? Think hard. What about a family member? Would you dare to ask them for even a penny? I find it repulsive ---re-pul-sive --- that some people would beg others for money. Yes, spread the wealth if that's what the person wants to do, but how can anyone ask anyone for money? I can't wrap my head around it. So you really have to think while you're sitting there in your cubicle daydreaming about the Mega Millions of how many people will be stalking you and how you immediately have to go into hiding after the big win. In New York, you cannot anonymously win. I'm not sure why they choose to do this knowing the consequences of the annoyances, but your name is out there letting the world know who the new millionaire is. Good luck with that. Then the greed goes on. This morning I was watching the news and it was reported that someone hacked into Target's accounts leaving over 40 million people's debit and credit cards compromised. So I took a look to see if I was a victim and sure enough, I had two charges on there. One mine and the other…? I only shopped there once this entire year. I guess you can say that's one of the smart hacker-like type of way of stealing. But what about those dumbasses who go around neighborhoods stealing UPS and Fedex packages right from people's doorsteps? How stupid! Don't they realize that 90% of people have home surveillance cameras now? 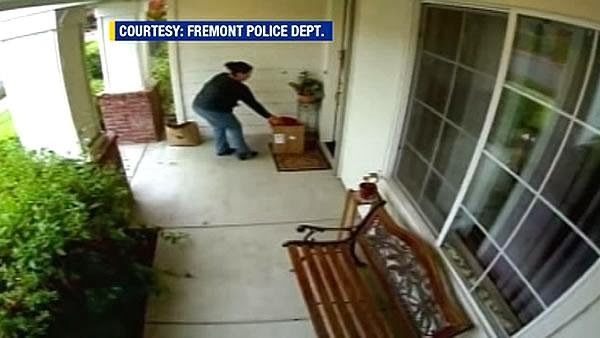 One girl walked up to a door that clearly had a camera smack dab in the middle, turned down her baseball cap and proceeded to grab the package as if it was hers. How do people do these things? Fact is, there are cameras every single place you go. They're on the streets, they're in every store and they're even in places you would never think a camera would be, like a hallway going into the bathroom section or the tables over at the food court in a mall. Everywhere. Some call it "big brother", but I absolutely welcome cameras when I'm out and about. But stupid people are not scared off by them. Which brings me to my last little rant… Mad asked me what I wanted for Christmas this morning. I could have been like, "What? You didn't get my gift already?" (ha) The only thing I want from her is more valuable than any iPad or new updated gadget. I want time. So we're going out to dinner together Christmas Eve and then spending the rest of the evening with family. Realistically, I would love a week long trip somewhere warm and just sit on a beach and drink some margaritas. So instead, we're doing the final touches on our home, installing floating shelves and getting our kitchen hooked up with some beautiful lighting by the electrician. I need ambience even if I'm just grabbing a cup of joe. My home has to be cozy, inviting and scream, "Come sit by the fire and have a drink or five!" We're both pitching in for the work to be done, so all in all, that's our "romantic gift" --- and it IS romantic because it'll make our home much more conducive for relaxation. I don't know what I'd do if I was a parent and I had kids begging me for iPhones, iPads and other devices that they SHOULDN'T have. Yeah I said it. It's the best tool that predators use to bait children now. If you're shaking your head in disagreement, thinking, "Well there's nothing wrong with Instagram," -- then you're wrong. Instagram now has a messenger service where anyone can contact anybody based on their photos. And how many young children are on Instagram taking duck face selfies? 'Nuff said. Glad I don't have kids. I'd be in the nuthouse. Happy shopping, Happy Festivus, Merry Christmas and please check your credit/debit cards for extra charges that may have been from this Target scam, because, umm, you need to get me some gifts this Christmas since my wife isn't.